Today is April Fools Day, so why not write about that. It was a simple piece, commenting on the abundant Swiss spaghetti harvest of that year. Because of the weather and almost eradication of the Spaghetti Weevil. It so fully “got” the British television watching public that the BBC got inundated with calls about how to buy and cultivate your own spaghetti tree. Watching it today you can wonder how so many people were fooled. It’s simple, you have to remember that there wasn’t the £10 flights to Spain. The country was still recovering from the Second World War. Spaghetti wasn’t the cheap and cheerful food it is nowadays – everyone knows what it is and eats it, reasonably, regularly. The second reason why it worked so well was who actually did the piece. The BBC. Television & television news was still in it’s infancy with a lot of people not wanting, or able, to believe that such a luminary as Richard Dimbleby would do something that wasn’t true. Every year we see a newspaper story about something too unbelievable to be true. That’s their attempt to fool us today. 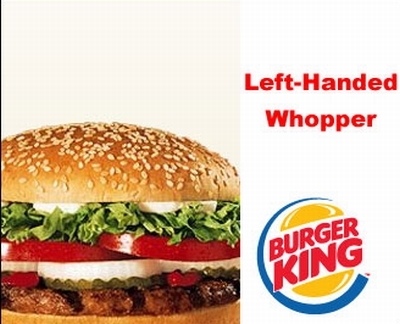 I think the only April Fools Day story that made it close to the Great Spaghetti Harvest is the “Left Handed Whopper” from 1998. Everyone does it, even the process that keeps the internet running, the RFCs. These are, sometimes, contradictory documents that say how the internet should work. It works most of the time! They do produce some interesting ideas, some that have been implemented. For me one of the best is the “Evil Bit“. But there are tons of others to keep you amused.